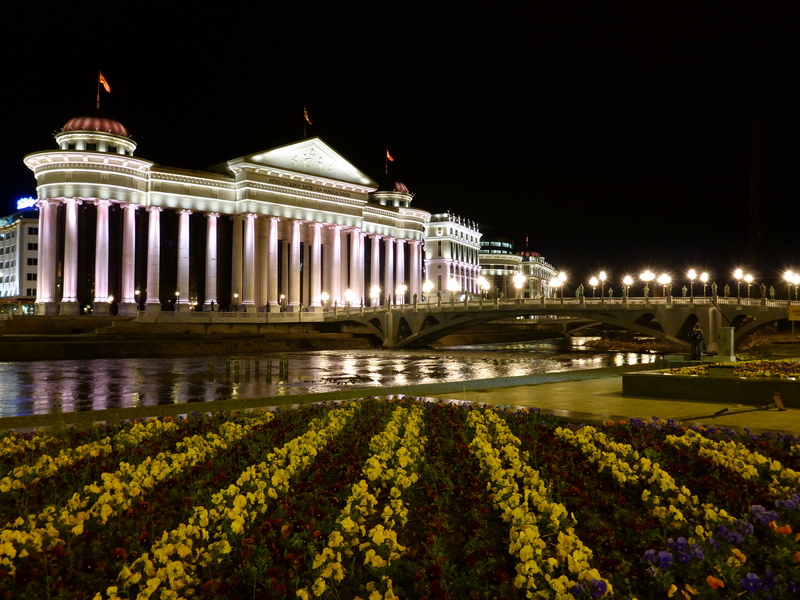 The beautiful lit buildings and bridges along the river is a reason in itself for visiting Skopje. 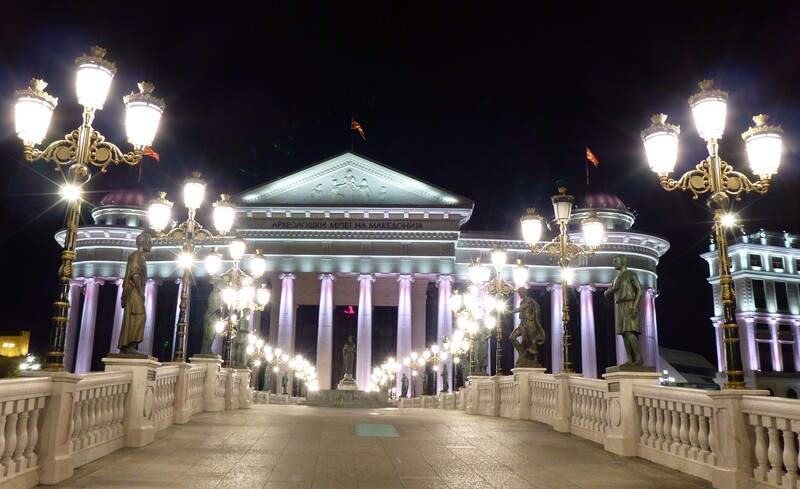 And combining with the nightlife, you have a winner. On the new side of town the bars and restaurants are lined up along the riverside with both live music and discos and night clubs. 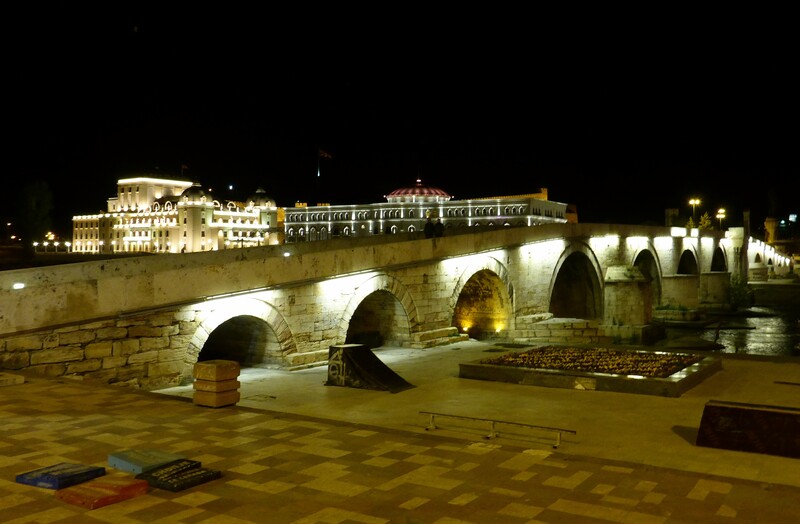 One of the beautiful lit bridges in Skopje. 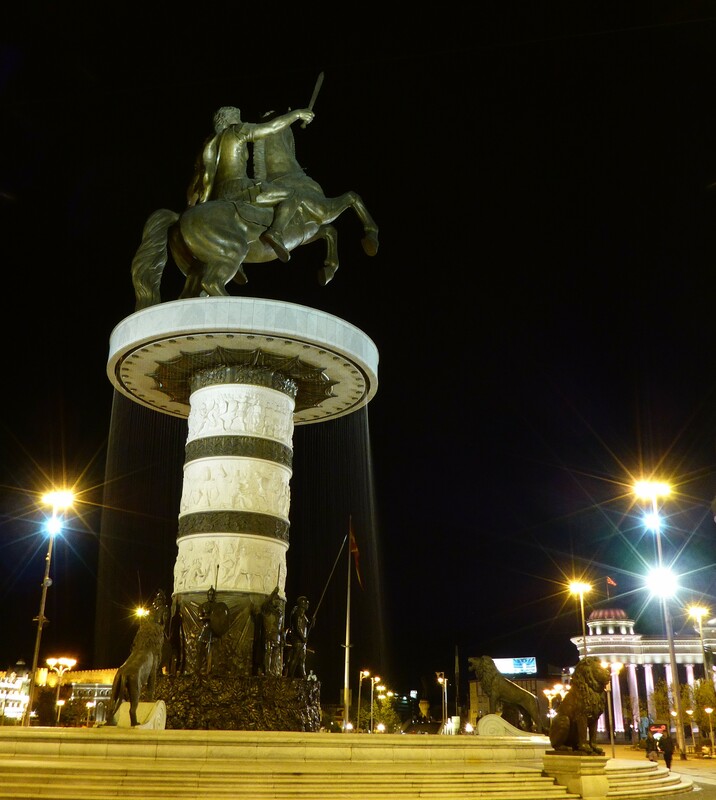 The sculpture of Alexander the Great on Macedonia Square. 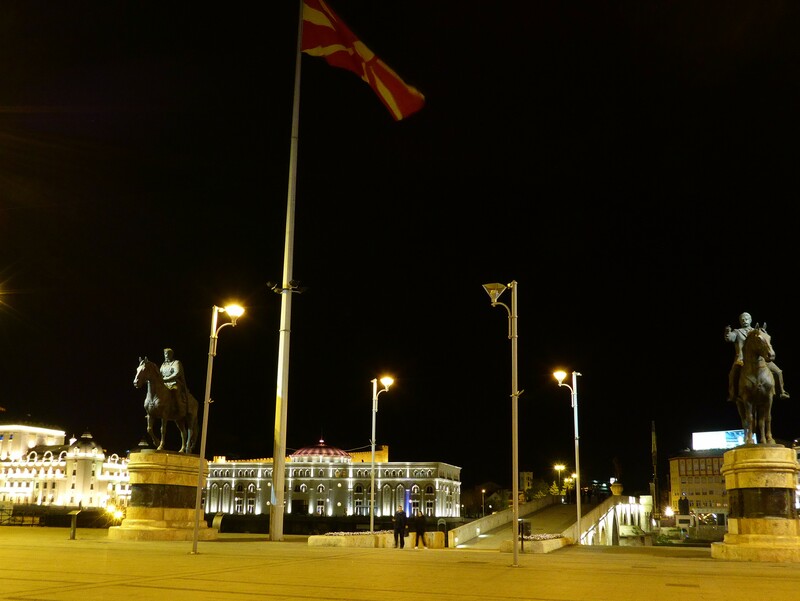 Read also Skopje, the city of sculptures. 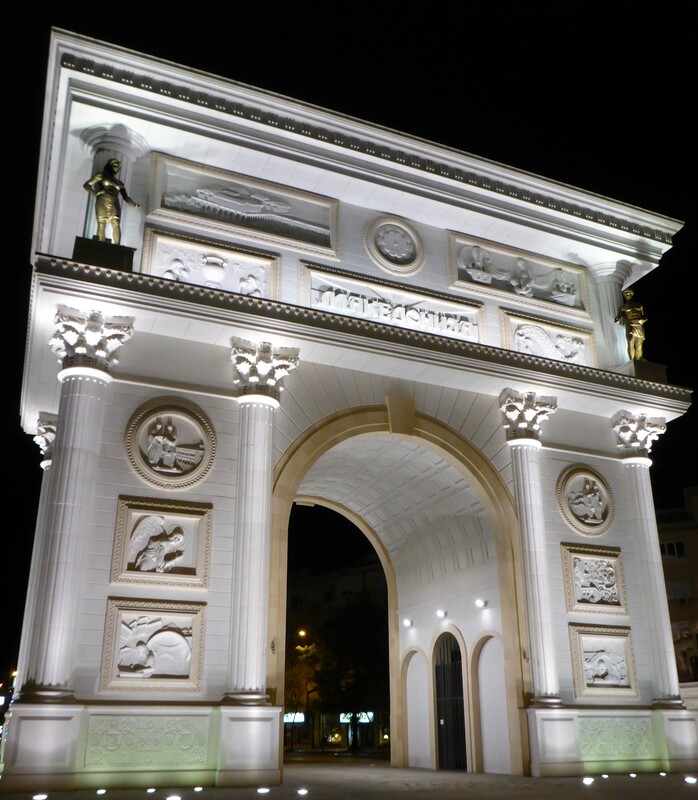 Pingback: Skopje, the city of sculptures | Life is a journey! Pingback: Lake Matka – a great getaway | Life is a journey!